Radway Safe's are no longer a trading company, but a lot of their safes are still being used today. 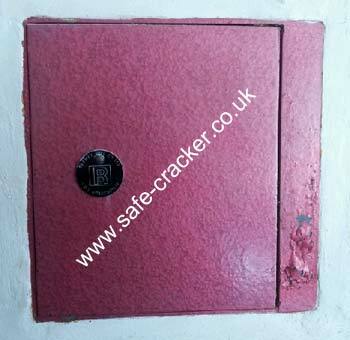 They produced floor, wall and under floor safes. Safecracker can open all Radway safes. When the new owners moved in to their new home, they didn't expect to find this locked Radway Wall Safe there. When telephoning round for quotes, they found that safecracker were the only ones who guaranteed that they would pick the lock open and not drill it. 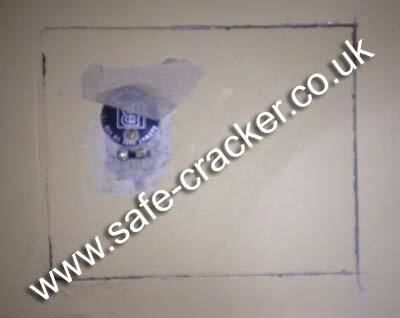 Safecracker could also attend in the evening so the owner did not have to take any time off work. Safecracker attended that evening and picked the lock open, we then also cut away all the paint that had been put over the safe during redecorations allowing the safe to open. We then supplied a new lock and 2 new keys leaving a fully working and intact safe. If you need a Radway safe opening call safecracker. The owners of this Radway Ambassador floor safe had lost the combination to its LaGard 3 wheel combination lock and were now unable to open it. They called safecracker. We attended and opened this Radway Ambassador combination safe just from the dial with no damage to safe or lock. We the reset the combination for them. 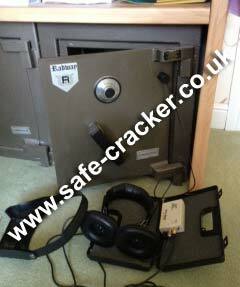 If you have a Radway Ambassador safe that needs opening call safecracker. The owner of this small Radway wall safe had lost the keys to open it. She called safecracker and we attended and opened the safe. We also changed the levers around in the lock and supplied new keys. If you have a Radway safe that needs opening call safecracker.